Muhammad Adham, age 13: "They hit me with daggers and a whip. He broke my finger... When one finished or tired out, another came and continued to hit me with a belt. They broke iron on my neck." Muhammad Adham's father: "There are people who threatened me directly that they will murder my 13-year-old son Adham... We are in prison. If someone speaks up or raises his head - they [Hamas] kill him... I implore the human rights organizations, the Arab states, and all of the organizations to stand with us." Muhammad Adham's mother: "We have acquiesced to [Hamas'] disrespect... to the humiliation... when it's done to adults. But when it comes to the children, what else remains in the world?" 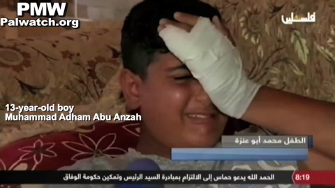 13-year-old boy Muhammad Adham Abu Anzah: "They grabbed me and put me in a room. Then they started to hit me with daggers and a whip. He broke my finger. I demand justice. When one finished or tired out, another came and continued to hit me with a belt. They broke iron on my neck. Six people - they continued to hit me until the police came. Afterwards, the police arrested me. Later, my father came and started to shout at them, and then they released me." 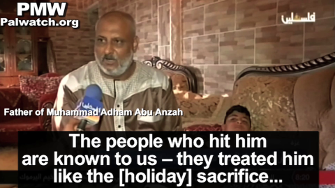 Father of Muhammad Adham Abu Anzah: "The people who hit him are known to us - they treated him like the [holiday] sacrifice... If we keep silent about something like this today, tomorrow they might do it to a small child, a two-year-old or a six-month-old. They might kill him... There are people who threatened me directly that they will murder my 13-year-old son Adham... We are in prison. If someone speaks up or raises his head - they [Hamas] kill him. The case is prearranged: [They will say he is] either he is a collaborator [with Israel] or [involved in] prostitution... I implore the human rights organizations, the Arab states, and all of the organizations to stand with us." Mother of Muhammad Adham Abu Anzah: "It doesn't matter what the child did, the child is a minor. You hit him, kill him, tie his hands behind his back, because he hit his son, [the son] of someone from Hamas, from the Hamas leaders, from the commanders of the Al-Qassam (Hamas' military wing), from Hamas' militias, not from Hamas' leadership... We have acquiesced to [Hamas'] disrespect. We have acquiesced to the humiliation. We have accepted - okay, when it's done to adults. But when it comes to the children, what else remains in the world?" Palestinian Media Watch has also reported on a different kind of child abuse and human rights violations by Hamas - the use of civilians as human shields during confrontations with Israel. 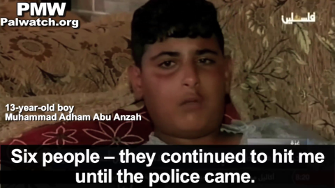 13-year-old boy Muhammad Adham Abu Anzah: "They grabbed me and put me in a room. Then they started to hit me with daggers and a whip. He broke my finger. I demand justice. When one finished or tired out, another came and continued to hit me with a belt. They broke iron on my neck. Six people - they continued to hit me until the police came. Afterwards, the police arrested me. Later, my father came and started to shout at them, and then they released me..."
If we keep silent about something like this today, tomorrow they might do it to a small child, a two-year-old or a six-month-old. They might kill him... There are people who threatened me directly that they will murder my 13-year-old son Adham... We are in prison. If someone speaks up or raises his head - they [Hamas] kill him. The case is prearranged: Either he is a collaborator [with Israel] or [involved in] prostitution... I implore the human rights organizations, the Arab states, and all of the organizations to stand with us." 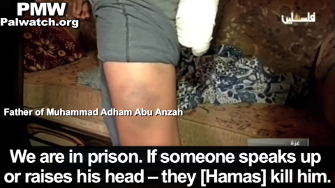 Mother of Muhammad Adham Abu Anzah: "You see the marks from the beating on my son... A beating like this - by Allah, even animals don't receive such a beating... It doesn't matter what the child did, the child is a minor. You hit him, kill him, tie his hands behind his back, because he hit his son, [the son] of someone from Hamas, from the Hamas leaders, from the commanders of the Al-Qassam (Hamas' military wing), from Hamas' militias, not from Hamas' leadership... We have acquiesced to [Hamas'] disrespect. We have acquiesced to the humiliation. We have accepted - okay, when it's done to adults. But when it comes to the children, what else remains in the world? 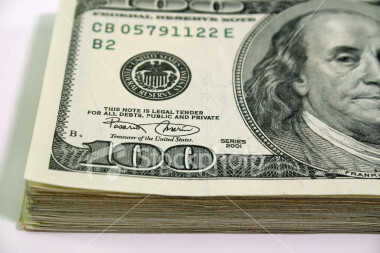 Nothing good is left in the world."